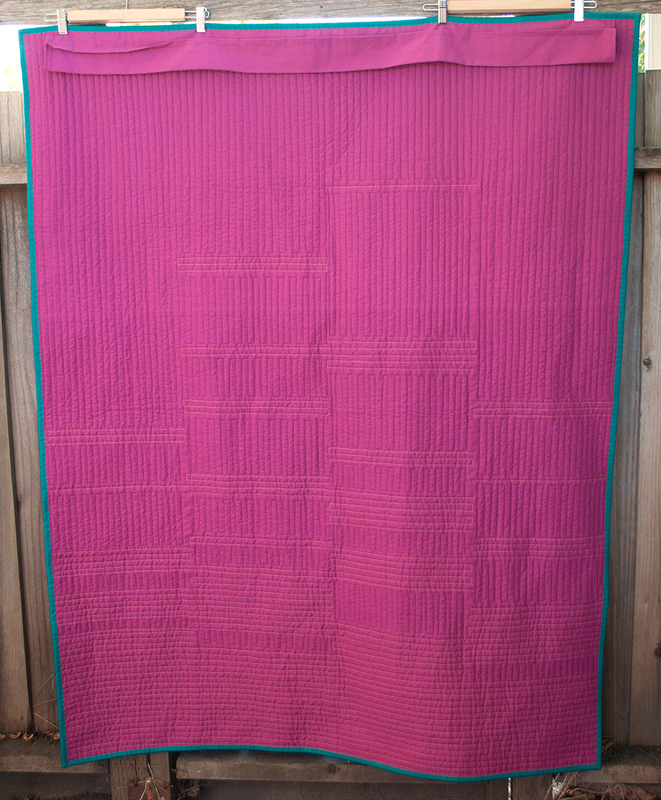 My regular readers have seen this quilt recently, but I couldn’t pass up the chance to enter it into the Blogger’s Quilt Festival – Modern Category. This quilt is entitled “We Are” and the design is based on a recent Quilt Design A Day design that I made. 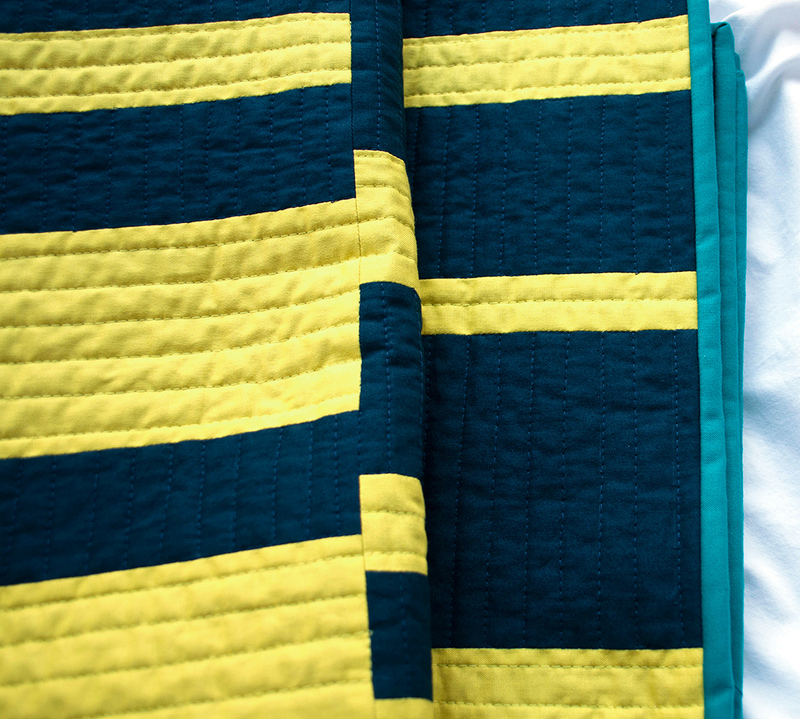 It was created for a local museum show of Amish-inspired modern quilts. The design itself was inspired by an introspective look at Amish culture and my own culture. In particular, I live in Silicon Valley, I’m a computer scientist, and I am a total geek. My culture, livelihood, hobbies, and even regional area are all at its core, defined by modern technology. This couldn’t be more at odds with Amish culture which shuns modern technology. Additionally, there was (and still is) a schism forming in the gaming community, with some incredibly ugly things going on especially aimed at women. 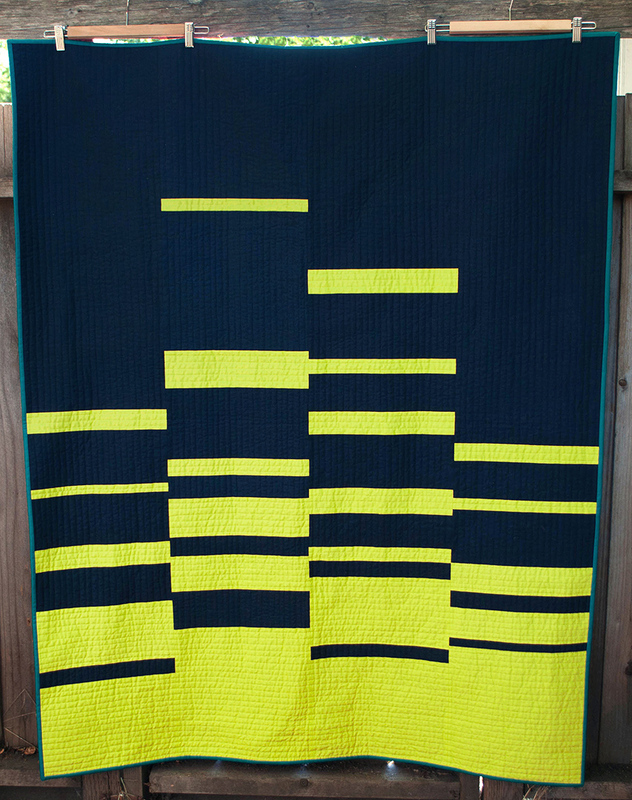 During the design and creation of this quilt I was really feeling downtrodden about it all. It is hard not to let the ugly get overwhelming when you feel like you have no voice. But I realized that here I was, being inspired by this culture which at a glance was polar opposite of my own. And the more I looked, the more we have in common. And suddenly it quit being about Us vs Them, but it became about the We. We are. Together. And in some small way, it gives me hope. Thanks so much, Toni. 🙂 It is definitely interesting times that we live in, and I think it’s a learning process for all of us. I’m encouraged by the acceptance that has come about just in my lifetime. Maybe there is hope for us yet! I love your color choices and minimal design. Absolutely adore this – so simple yet so impactful. The colors are fabulous, and I love the pink on the back, too. You are genius! I adore this one and love the heartfelt thoughts that go with it. 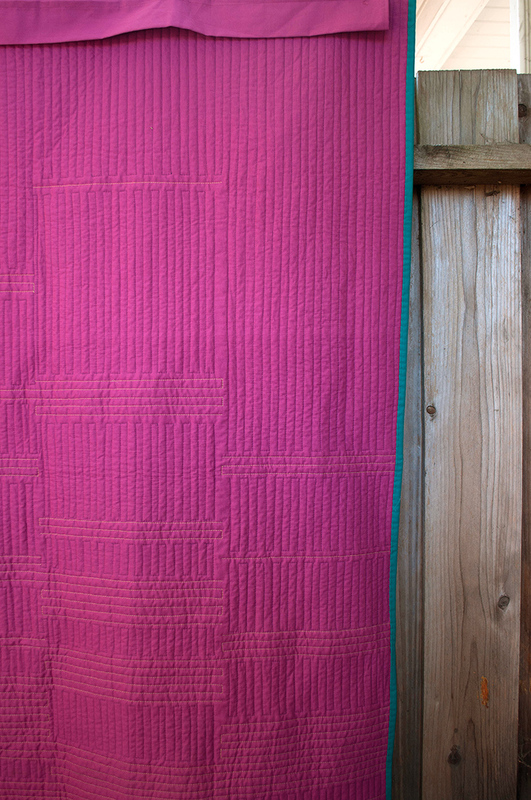 I’m playing around with some two color quilt options too and feel it will be happening soon! Lovely colors!! They really vibrate well against each other.